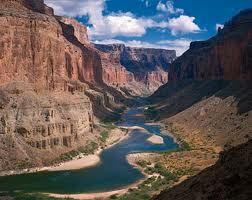 I’ve yet to be among the nearly five million people that visit the Grand Canyon every year. I’ve flown over it, and was awed as the pilot tipped the wings each way to give all the passengers a great view. This tremendous gorge was formed as the result of what creation scientists call “catastrophic erosion.” If I can play upon these words, I want to state that there has been another catastrophic erosion – a wearing away of the integrity of marriage as viewed in our culture. The attempts to redefine marriage in order to accommodate the personal whims of the individual, appeal to the masses who are desperately seeking fulfillment, unfortunately without a moral compass. Their temporal view of life, a paradigm of confinement to a few decades, casts marriage into a short story rather than one long novel that gets better as you read through it. Personally, I’m more excited than ever as we enter the beginning stages of our fourth decade of marriage. There are many causes for the “marriage gap” that exists in our culture, breeding discontent and premature endings. To name a few: the absence of the Cross of Christ in our daily living (everything else pretty much comes under this category), a “drive through” mouse click mentality (aka no patience), the idol of romantic love (it can never be the cornerstone of a marriage), and a myriad of other things that erode the zeal meant to accompany the privilege of serving Christ while partnering with our spouse. Many daredevils have pondered feats of entertainment involving this “grand” canyon, to somehow bridge its’ mighty gap. It peaks people’s interest to think of such a great accomplishment. Even greater in my eyes is a married couple that weathers the storms and stays true to covenant, no matter what. May I challenge all of us, to pray for a kingdom culture from above, that would permeate our thoughts, and realign us to godly expectations in this grand relationship called marriage. The flood which created this natural wonder was sent by God, or sent by mankind’s sowing of evil which reaped a cleansing judgment. For now, the canyon will endure at least for the rest of this age. In the meantime, the sin gap has been bridged securely by the blood of Christ. All things are possible. No marriage gap is too big for Him to bridge.